Designed specifically for Laboratory use. 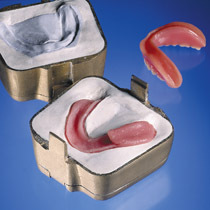 Permanently soft, silicone base, heat cured denture material. 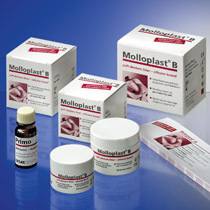 Molloplast B sets to a soft, highly elastic layer. Bonds firmly with acrylic base. Resists saliva absorption and bacterial contamination. Molloplast B is also 100% Microwavable.